In 2017, as the work on the replacement to the veteran Soyuz spacecraft had entered its second decade, its developers were preparing to build the first major experimental components of the PTK Federatsiya spacecraft for initial full-scale tests. In the meantime, Roskosmos had made several major changes to the project switching its rocket again, this time, from the Angara-5P to the Soyuz-5. It also meant that the flight testing of the Federatsiya would now originate from Baikonur Cosmodrome in Kazakhstan until the super-heavy rocket would be ready at a new launch pad in Vostochny in Russia. The first launch of the new spacecraft had to be postponed by at least a year to 2022. Key components of the PTK Federatsiya spacecraft circa 2016 and 2017. At the start of 2017, Roskosmos confirmed its previous commitment to spend 57.56 billion rubles on the development of the PTK Federatsiya spacecraft. 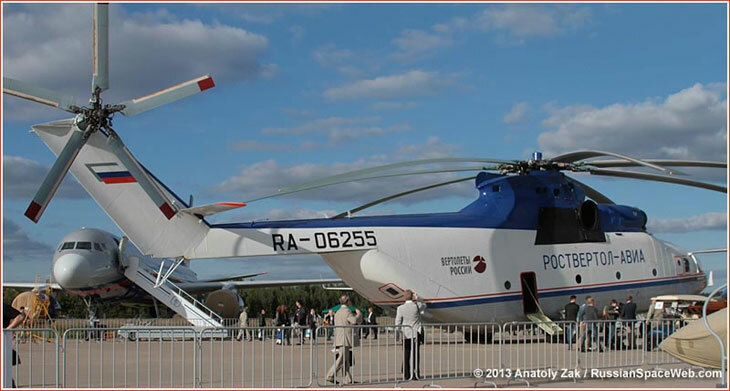 By that time, RKK Energia, the prime contractor for the project, had began work on the first phase (or LKI-1) of the development contract, known in Russian as OKR, for the new-generation transport spacecraft, PPTK. Roskosmos awarded the contract, No. 351-5620/16/185, to RKK Energia on Nov. 7, 2016. 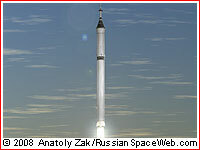 Within this framework, the company began the development of design documentation for the upper composite of PTK Federatsiya, which would include the spacecraft itself, its emergency escape rocket system, known as RBAS and the payload fairing structure, known as SZB, which would hold the vehicle together and protect it from aerodynamic loads during its initial ascent through the atmosphere. As of September, the company had completed 2,542 documents of the working design documentation and 3,630 documents were in development out of 6,172 pieces of documentation required by the project. 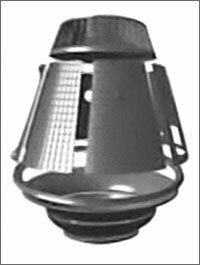 As the design work spread to the countless systems and subsystems of the spacecraft, RKK Energia issued individual schedules for the major sub-projects comprising the PPTK system. 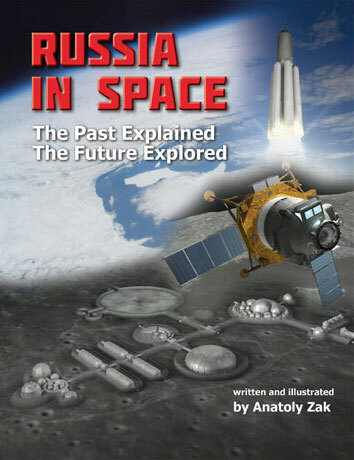 They included the construction of facilities for testing of the spacecraft and its prototypes, the development of the ground diagnostic equipment, the writing of software for onboard avionics, the construction of facilities for testing of the thermal protection system, the autonomous testing of docking ports, the assembly of the spacecraft mockups, the manufacturing of hardware for autonomous testing of the landing gear and the steering mechanisms of the propulsion system. The work on the Federatsiya also coincided with the continuous effort to integrate increasingly sophisticated computer visualization technologies into the design process. 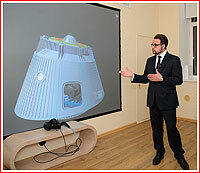 On April 7, RKK Energia announced the opening of the first center in Russia for virtual spacecraft design. According to the company, the facility, equipped with three computer graphics stations and 15 virtual reality glasses, would be used for a multitude of design tasks, including the integration of complex onboard equipment and laying of cables connecting dozens of instruments. 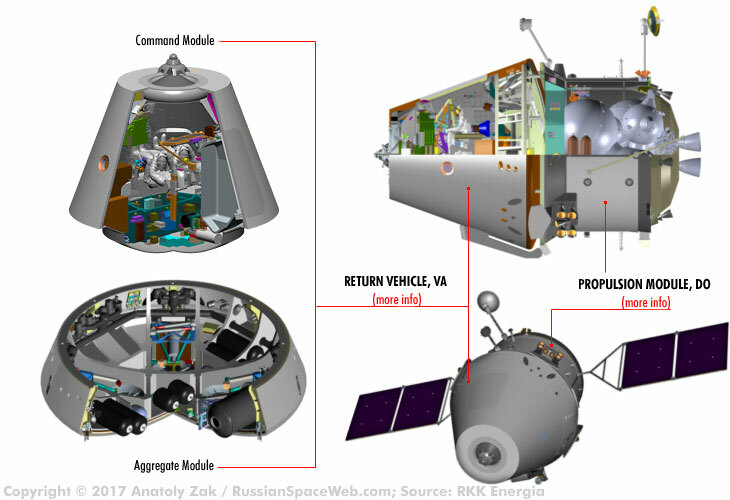 After a decade on the drawing board, the PTK Federatsiya was reportedly close to appearing in the form of several mockups and prototypes. Also, some major components of the future spacecraft were reported to be entering their testing phase. As of September 2017, RKK Energia reported to Roskosmos that it had issued 15 out of 16 technical assignments for mockups and experimental units for Federatsiya. The company also produced technical assignments for seven out of 24 experimental units, while the 17 other were still being worked out with subcontractors. In the meantime, RKK Energia's assembly plant, ZEM, was reported as starting the assembly of special work sites for manufacturing of the body components for the new spacecraft. The factory also began the procurement of the necessary tooling and machinery for the upcoming production. Following the crucial decision by Roskosmos on June 7 to shift early missions of the Federatsiya spacecraft from the Angara-5P rocket in Vostochny to the Soyuz-5 rocket based in Baikonur, RKK Energia had to accordingly adjust its plans for the ship's flight testing. On August 21, the company provided Roskosmos with a list of open issues arising from the move to Baikonur. Obviously, the developers would have to re-adjust the project's cosmonaut training procedures, emergency escape profiles and search and rescue operations for the conditions of launches from Baikonur instead of Vostochny. Although Baikonur has hosted human space flight since the start of the Space Age, it would be the first switch of cosmonaut launches to a drastically new system since the introduction of the Soyuz spacecraft in 1966. By September 11, RKK Energia had completed its review of the new strategy, which could ensure the first unmanned test launch of the PTK Federatsiya spacecraft on a Soyuz-5 booster from Baikonur in 2022 or one year later than planned a year ago. Provisionally, this timeline was expected to lead to the first manned mission of the new spacecraft in 2024, also launched on a Soyuz-5 rocket from Baikonur. However the first Russian lunar expeditions would now have to wait until the appearance of the super-heavy rocket in Vostochny at the end of the 2020s or the beginning of the 2030s. In a major step toward testing full-scale systems for the PTK Federatsiya spacecraft, Russian engineers began preparations for aircraft drop tests of the ship's Return Vehicle, VA. A life-size mockup of the cone-shaped capsule was expected to be lifted by Russia's heavy Mi-26 helicopter before being dropped in mid-air in order to try out various components of the landing system for the future spacecraft. During 2017, RKK Energia developed the drop test program in cooperation with NII Parashutostroeniya, the nation's prime developer of parachute systems for the Ministry of Defense and Roskosmos. By September, engineers were also completing the planning of the tests with the Mil MVZ, which builds Russia's Mi helicopter series, including the Mi-26, the largest serially produced vehicle in its class. The finalized test program was expected to be approved by Roskosmos and the Ministry of Defense.